Detective Jane Rizzoli struggles in a man’s world while trying to capture a pair of serial killers who have her in their sights as their next victim. 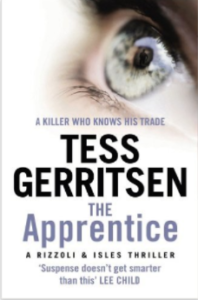 A great follow up to the first in the Rizzoli & Isles series, The Surgeon. This is the first of the series where Dr Isles makes an appearance, but the action mostly centres on Jane Rizzoli. Her character is more likeable this time around, and I can see the beginning of what I know will be a great series. The action moves quickly, there are enough surprises to keep it going, and the inevitable climax isn’t disappointing. This story focuses quite a lot on the psyche of the detective, her faults and her passions. I’m keen to read more and find out what’s next for Detective Rizzoli.